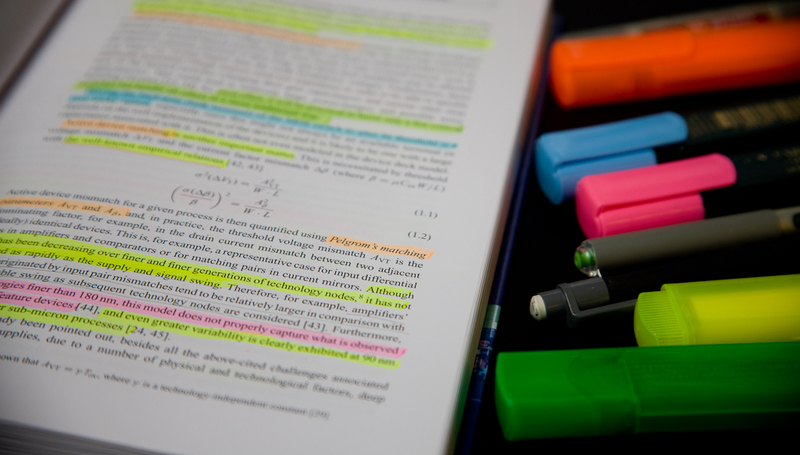 BOOK REVIEW: Are you looking for a more complete data converter overview than you get from Converter Passion blog posts or by maintaining your own library of recent papers? Perhaps you’re just wishing to catch up on the latest technology or get a helicopter view to see what’s outside of your own patch in the data converter field? Have you been longing for a contemporary data converter summary that is easy to read, yet rich with technical detail? 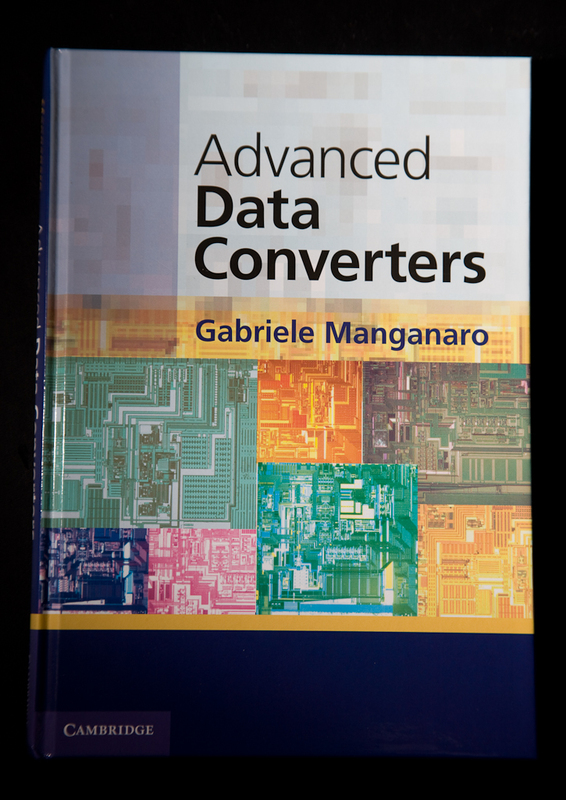 Read on to know if Advanced Data Converters by Gabriele Manganaro is the book you’ve been looking for. Let me say right from the start that this is a really good book. The author is clearly a gifted writer and has delivered a text that simply flows. It reads more like an interesting story than a technical lecture. Although the topic is advanced, the form never gets in the way. It is concise, professional in style, yet sufficiently relaxed and easy on the brain. Most of us can appreciate what an achievement that is. The chapter on A/D converters includes a review of underused classic architectures now brought back into the game to overcome the challenges imposed by CMOS scaling. Time-interleaving, calibration, and emerging architectures and techniques – often introduced for the same reason – are also discussed. The story told in this chapter is so in tune with what I’ve observed through my own survey that I actually don’t have a single suggestion as to what could have been added or taken out. It is indeed a very accurate and insightful description of how the field has developed lately. The number of different architectures and techniques covered in a relatively limited space is truly impressive. A slightly different approach was used in the D/A converter chapter, where “precision” DACs where left out in favor of current-steering DACs. Instead, these are given a more thorough treatment – essentially you get a complete rundown on the key design issues for this type of DAC. This worked very well for me. Ending the chapter is an update on the latest developments on high-performance and specialized DACs. Finally, there’s a chapter on data converter trends. As the faithful Converter Passion reader may suspect, I’m not easily impressed with scatter plots and survey data trends. Quite unsurprisingly, this is the chapter where I’m instantly itching to jump into the discussion, add a few graphs, discuss what the plots actually show, etc. That’s not necessarily a bad thing, though. Just as the previous two chapters inspire the reader to look deeper into emerging ADC/DAC architectures, it is a good thing if this chapter encourages the reader to become a more active and educated user of survey data. Analogous to the rest of the book, the author has managed to collect an impressive amount of information in a very limited space. The ADC part is split between a summary of several surveys by other authors, and some original work using the Murmann data set. The DAC part reflects the present lack of any large DAC survey, and therefore the trends are estimated from a very small set of data. Advanced Data Converters does not start from scratch, but from a point where the reader is assumed to be familiar with the basics of data conversion, sampling, signal processing and IC design. There are numerous references to where the basics are treated, and even if the level is “advanced”, it never gets scary or impenetrable. If you’re relatively new to the field, you could very well enjoy the book anyway. For more senior scientist, designers, or data converter end users, the book is a veritable goldmine of information. It successfully captures just about everything necessary to catch up with the latest data converter developments. It allows you to understand the essential technical issues and driving forces that shape the data converter field. None of the topics are treated in great depth, but the amount and quality of references for further reading is impressive. The book delivers a feature-rich helicopter view of the entire data converter field that encourages further exploration. It also provides you with a solid framework – a “grid of knowledge” – in which you can place your own bits and pieces as you pick them up. This is not a book that will bypass the 6–8 years it is said to take becoming a reasonably good data converter IC designer. Neither will any other book. But keeping it as a companion will probably ease the pain of those years considerably. It will also make the constantly changing data converter landscape a bit less confusing. This book is both educational and a source of inspiration for new adventures to all of us that feel we have more to learn. If you truly believe you know it all, then it might still be worth buying it solely for the excellent list of references. You can probably guess by now, what the rating will be. Since this is the first book review on Converter Passion, I had made a firm decision to save some headroom at the upper end of the full-scale range. That was the plan. But Advanced Data Converters is one of the best written tech books I’ve ever read, so it would not be correct to give it anything but the highest grade – 5 out of 5.